If your company is searching for a more efficient development and integration platform for your consultancy services, for building or extending your commercial software solution, or to add to your software reseller portfolio, then you can benefit from the power of LANSA. With LANSA’s low-code, rapid application development platform, you can deliver and maintain software applications in far less time compared with traditional development languages and technologies. For large projects, where there is more re-use of definitions and components, LANSA is typically three to five times faster. That means happier customers, decreased time-to-market and lower cost-of-ownership – giving LANSA business partners a substantial competitive advantage. Read what our customers say about LANSA’s productivity. You will not get locked into any platform. Applications developed with LANSA can be deployed on any hybrid mix of Windows, Linux, IBM i, AWS and Azure Cloud platforms and run on all mobile, laptop and desktop device types. Web, mobile and desktop application styles are supported. LANSA stores business rules and re-usable components (e.g. validations, triggers, formulas, display attributes, and so on) centrally, outside the applications and outside the database. This architecture makes application maintenance very efficient, while avoiding database lock in. Global organizations can support multiple languages from a single source base, because multi-lingual features are built into LANSA's core architecture. This includes support for Double Byte Character Set (DBCS) languages, such as Japanese and Simplified Chinese. LANSA includes sophisticated tools for data and business process integration. Coupled with LANSA’s cross platform capabilities, solution vendors can continue to use components of legacy versions, while gradually replacing and extending them with modern technology. That way you don’t have to put innovation on hold for your existing customers, while you are working on a new version of your solution. Because applications developed with LANSA can scale from small to extremely large, you can take on projects of any size. LANSA’s integrated developer workbench works equally well for any size team and contains features such as change impact analysis, task tracking, object locking and synchronizing multiple development environments. You can have a mix of Cloud and on premise development seats. With LANSA, the mythical "full stack developer" is never required. With LANSA, there is only ONE skill required - it's LANSA’s drag-and-drop development language. Use the same skillset for the front end client, the back end server and everything in between. This means that the cost of maintaining the vast range of disparate skills required for the "full stack" is savagely reduced. Partners who use LANSA for services, solutions and as part of their software reseller portfolio are from all over the world. Full list here. Many of the top world banks use the LANSA-based ACBS® loan system, through which 30 percent of syndicated loans worldwide are processed. Thousands of companies in Asia Pacific and the UK manage their HR and payroll through the LANSA-based Preceda SaaS or on-premise solution. 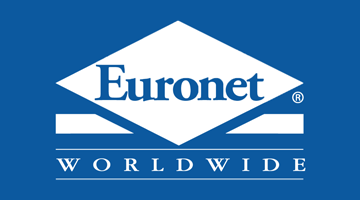 Euronet's LANSA-based products are used by financial institutions and retailers around the world to drive millions of secure transactions every day. LANSA has a global, active and innovative customer community. Reference accounts include companies of all sizes and across virtually every industry. With your regional and industry expertise and with LANSA’s powerful tool set, together we can accelerate the digital transformation of your customers. LANSA is committed to your success. We offer a flexible Partner Program that includes software, sales assistance, training and mentoring. You could become our next partner. Contact us to find out how your company can benefit.